The public is invited to experience Napa’s newest yoga studio: Napa Valley Yoga Center. The space on Jordan Lane is now under new ownership and management by local entrepreneurs, Peter and Amy Hall, who recently purchased the studio. For now, they plan to retain the existing class schedule (inherited from the prior owner, “Napa Valley Yoga and Wellness”). 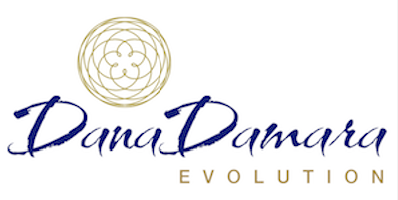 Currently offering over 35 classes at all levels every day of the week and in many styles of yoga, the offerings will evolve over time with new workshops and meditation classes soon to come. In terms of audience, Peter says, “We are especially interested in reaching absolute beginners who might say, ‘I can’t do yoga, I’m too stiff!’ But, of course, that’s exactly who can benefit the most.” The studio offers a beginner series to welcome newbies to experience the flexibility, balance, and strength that yoga is known for. Yoga practitioners at any level can take advantage of single class drop-ins as well as discounted class packs and memberships. The studio is offering a new student special (10 classes for $75) to encourage folks to come see the space, meet the team of talented teachers, and enjoy the benefits of yoga. There are even classes geared towards visitors (3 out-of-towner classes for $50). “Just like we seek out yoga classes whenever we travel to relax and recharge, we want visitors to Napa Valley to look to us,” says Amy. The new owners are excited to connect with local hospitality partners, event planners, wedding planners, and the business community to create customized yoga experiences. The spacious studio is walkable from downtown, and has a free parking lot. As the largest yoga studio in Napa, Napa Valley Yoga Center offers the greatest number of classes, as well as dedicated front desk support to help students find the right fit. It is also the only studio in Napa Valley to offer Yoga Alliance 200-hour yoga teacher certification, with the next training program scheduled to begin this winter, starting in February 2019. Napa Valley Yoga Center will host an Open House on December 1 from 5:00pm to 7:00pm. The public is invited to visit, meet the yoga teachers, and enjoy raffles, specials available only at the party as well as a henna artist. RSVP to connect@NapaValleyYogaCenter.com. To find out more, visit: www.napavalleyyogacenter.com.